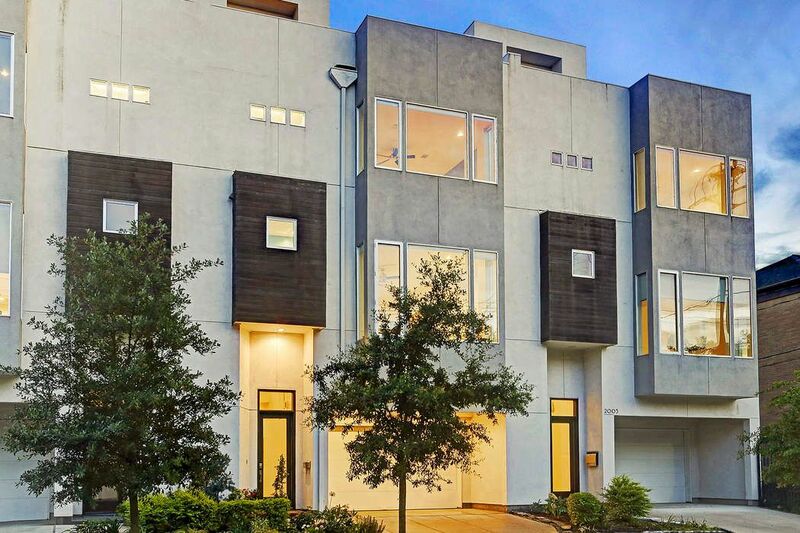 2003 Vermont Street, Houston, TX 77019 | Martha Turner Sotheby's International Realty, Inc. 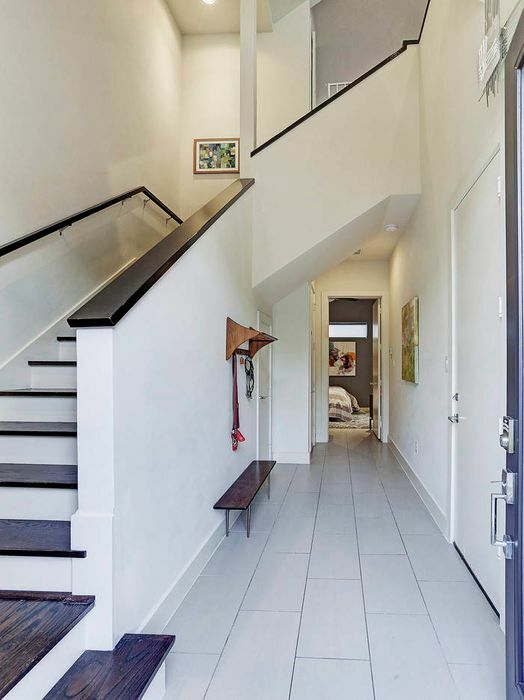 The foyer features porcelain tile flooring, access to two car garage, elevator capable closet, coat closet, alarm system, recessed lighting and storage closet under the stairs. 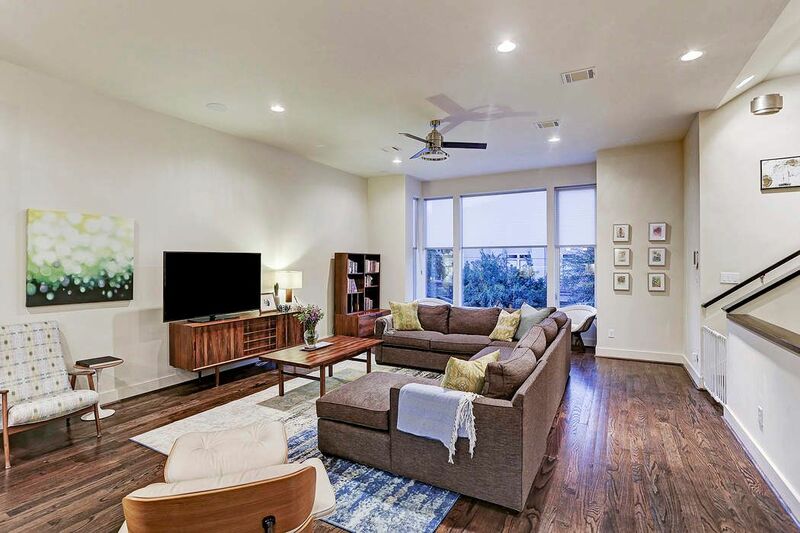 The living room has hardwood flooring, Harbor Breeze remote controlled ceiling fan, Hunter Douglas blinds, recessed lighting and surround sound. 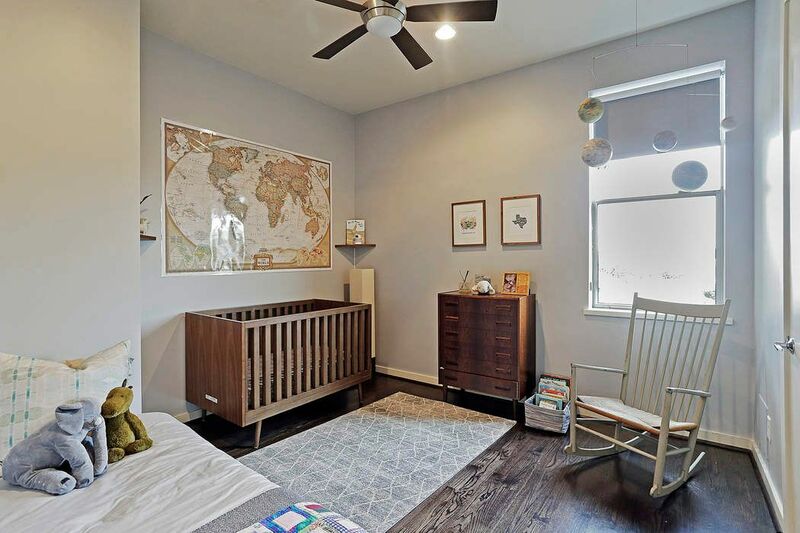 The living room features Hunter Douglas blinds and access to the powder bath. Notice the oversized Dixon casement and picture windows. A view of the living room looking into the island kitchen and formal dining room. Island kitchen has hardwood flooring, site built custom cabinetry, 8 x 14 ft island with breakfast bar. Jenn Air stainless steel appliances including 5 burner gas stove top and built in refrigerator. 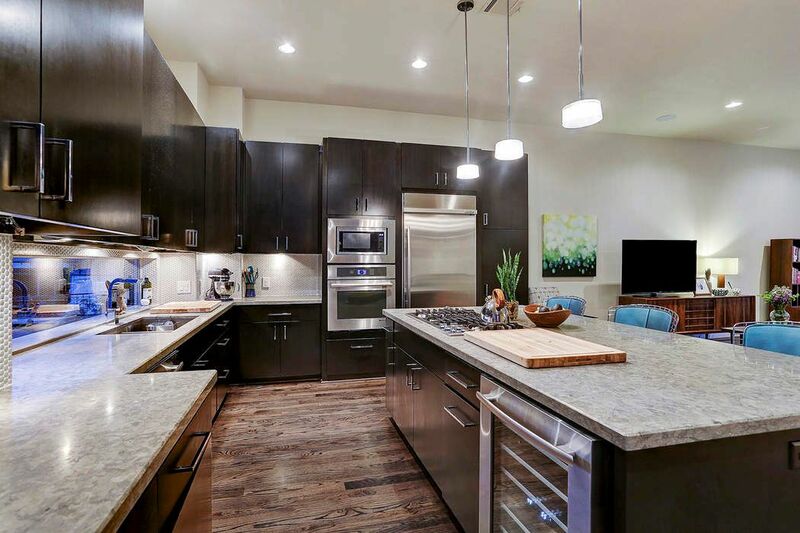 The island kitchen also features mosaic tile backsplash, undercabinet lighting, chrome hardware, dual basin undermount sink with chrome faucet, 3 pendant light fixture over island and recessed lighting. 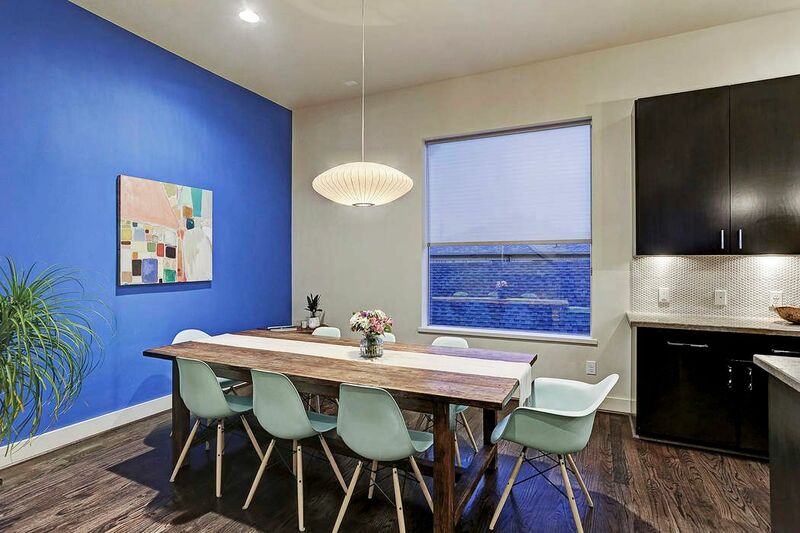 Dining room features hardwood flooring, accent wall, recessed lighting, storage closet and Hunter Douglas blinds. 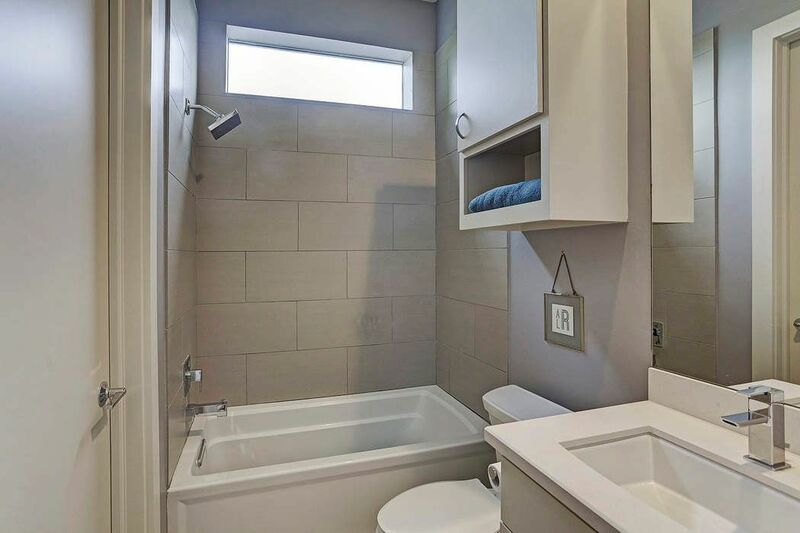 The powder bath features porcelain tile flooring, site built cabinetry with granite countertops, Kohler and Moen plumbing fixtures, Broan exhaust fan, aluminum casement window, custom built-in cabinet and recessed lighting. 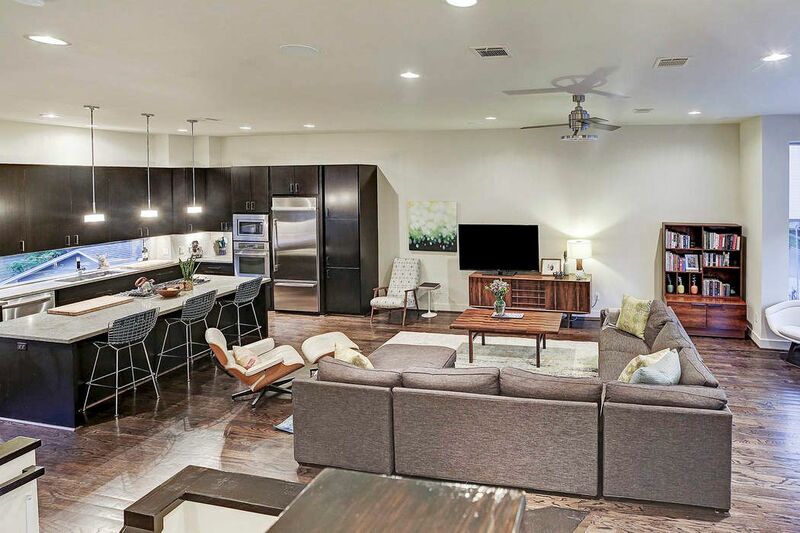 The owner’s suite features hardwood flooring, recessed lighting, Hunter Douglas blackout blinds, Harbor Breeze remote controlled ceiling fan and 3 walk-in closets. 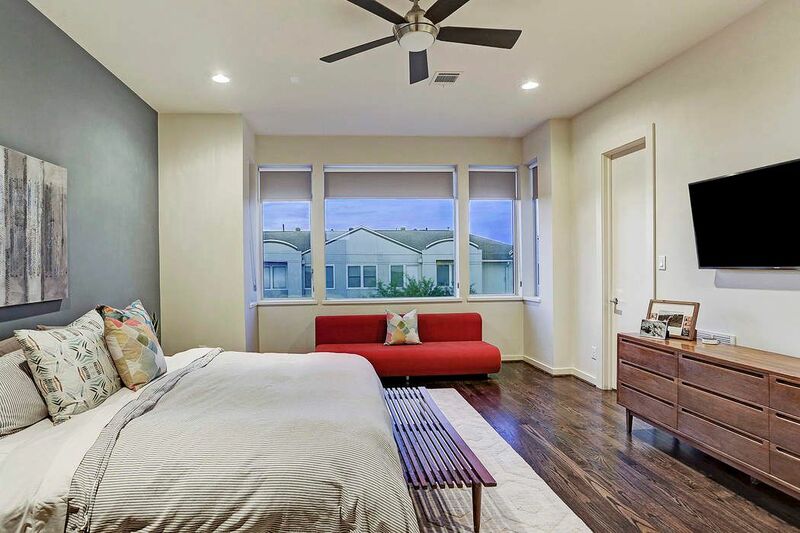 The secondary bedroom features hardwood flooring, Hunter Douglas blackout blinds. 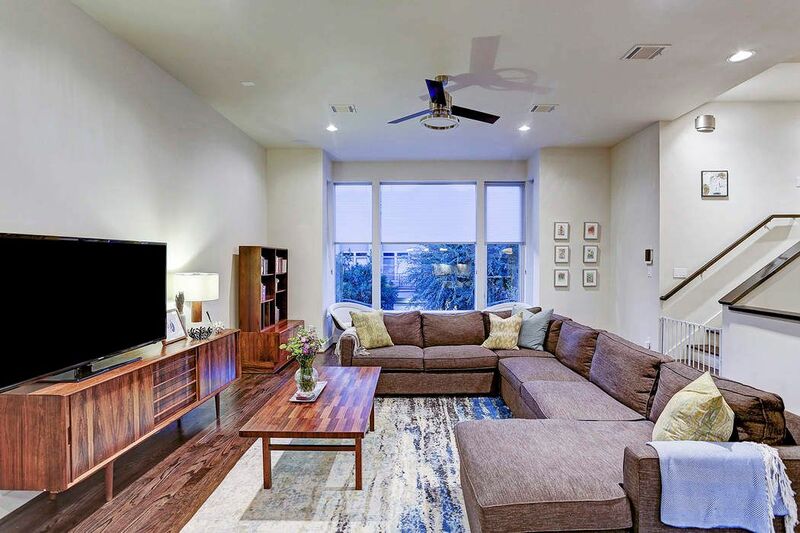 Harbor Breeze remote controlled ceiling fan, recessed lighting and access to en-suite bathroom. 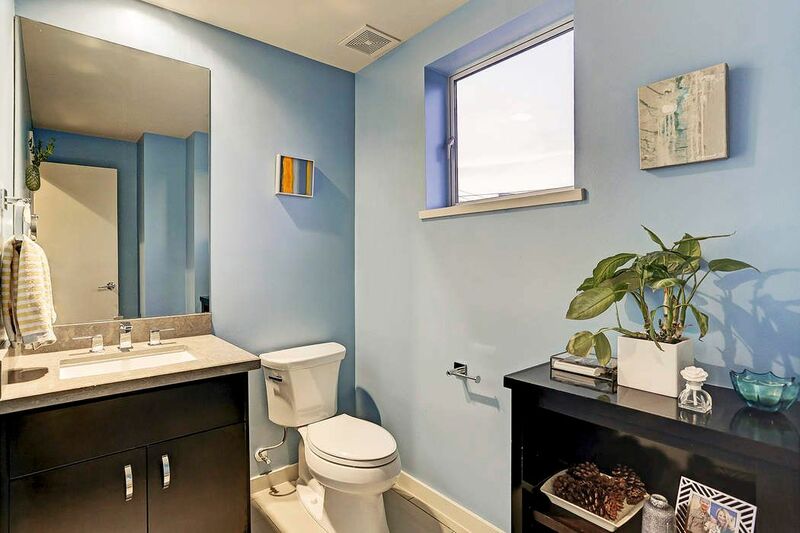 The En-suite bathroom has quartz countertops with undermount Kohler sink and Moen faucet, porcelain tile flooring, Kohler toilet with Broan exhasut fan and Kohler jet tub with slate surround. 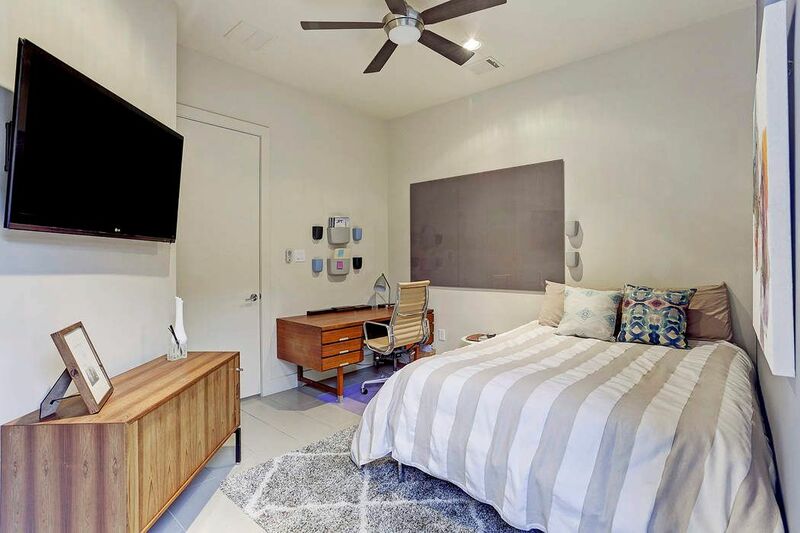 The first floor bedroom has porcelain tile flooring, Harbor Breeze remote controlled ceiling fan, recessed lighting, Hunter Douglas blinds, walk-in closet and access to back walkway and en-suite bathroom. The back walkway. Has access to the first floor bedroom. 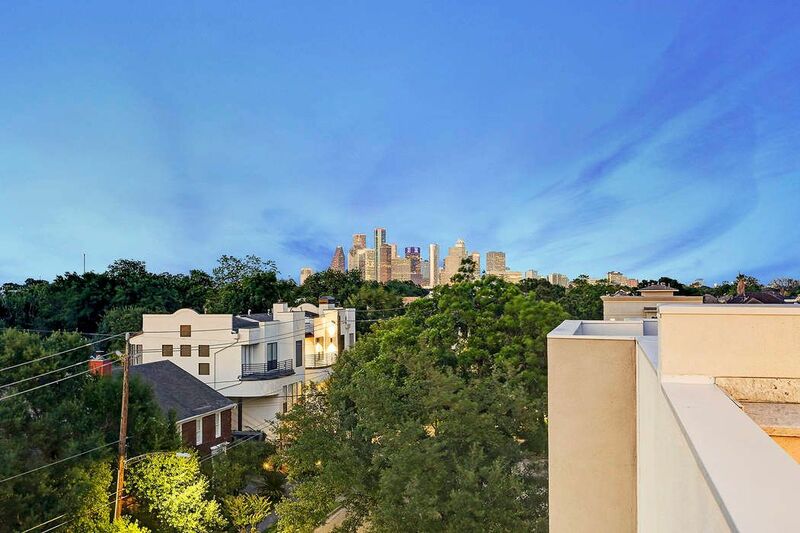 From the rooftop terrace you have fantastic views of downtown, Medical Center & the galleria. 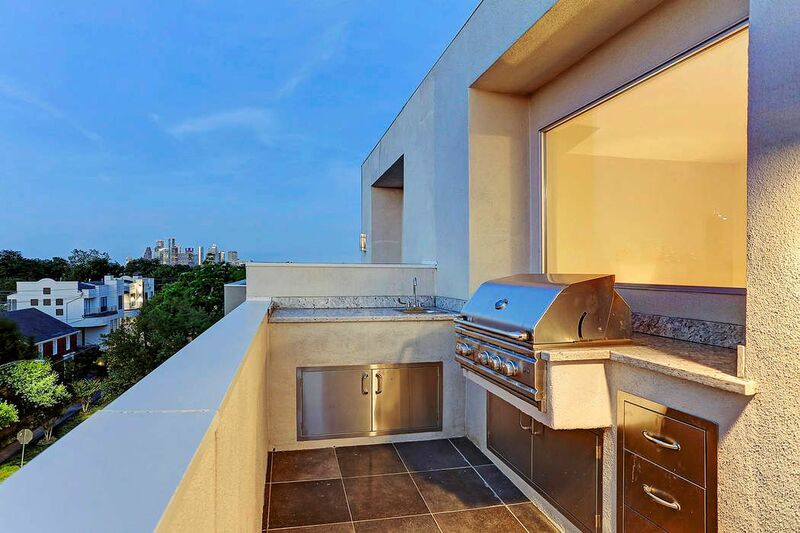 Who wouldn't want to grill with these amazing views. 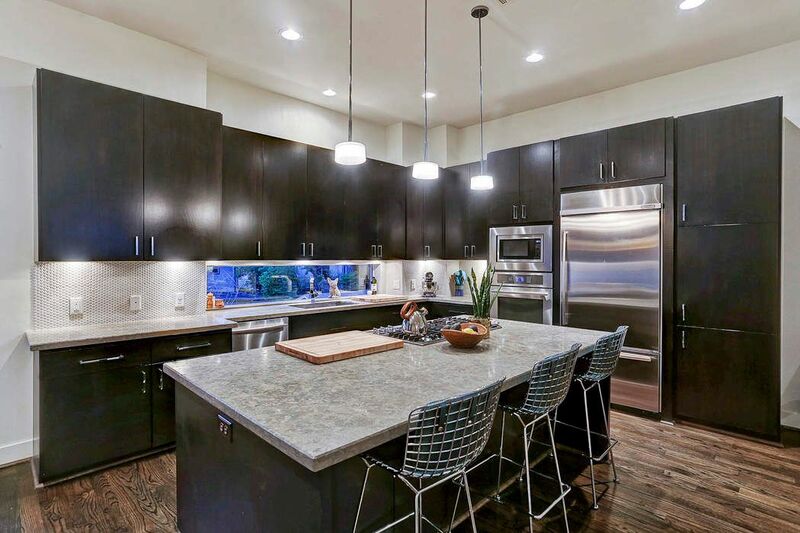 The outdoor kitchen has a stainless steel gas grill, kashmir granite countertops, stainless steel sink and built-in cabinetry and drawers. 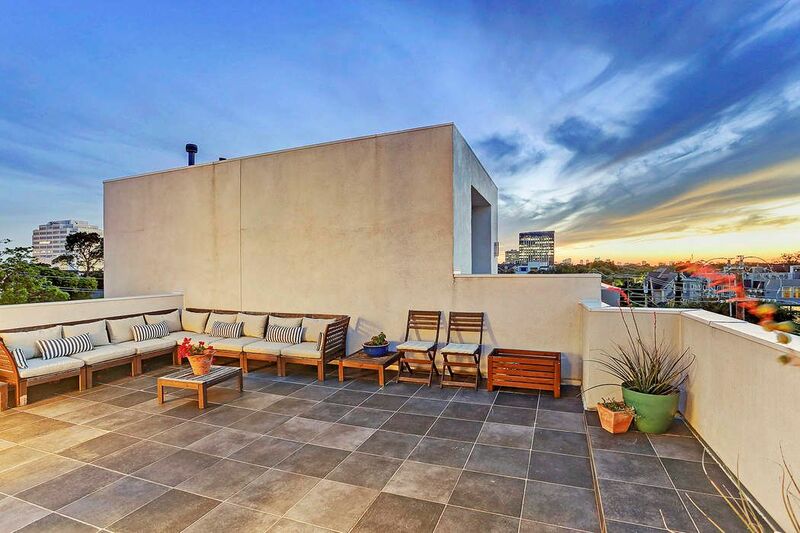 This rooftop is perfect for entertaining guests. 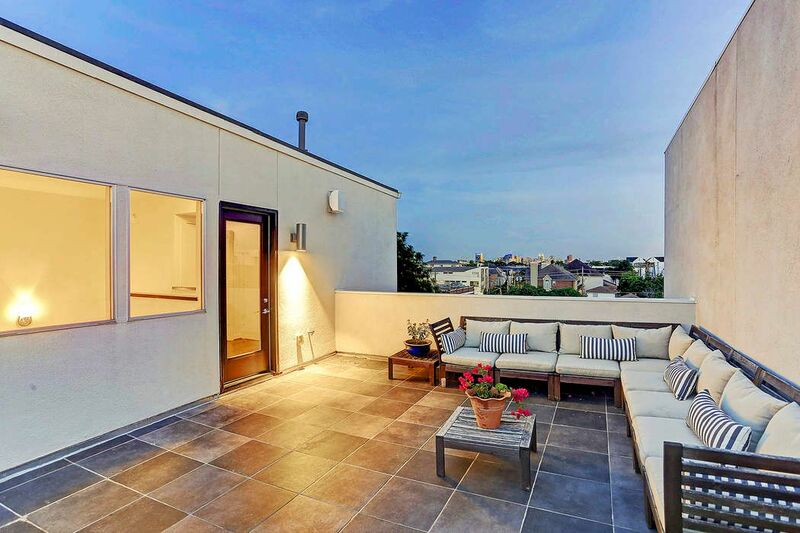 Another view of the spacious rooftop terrace. 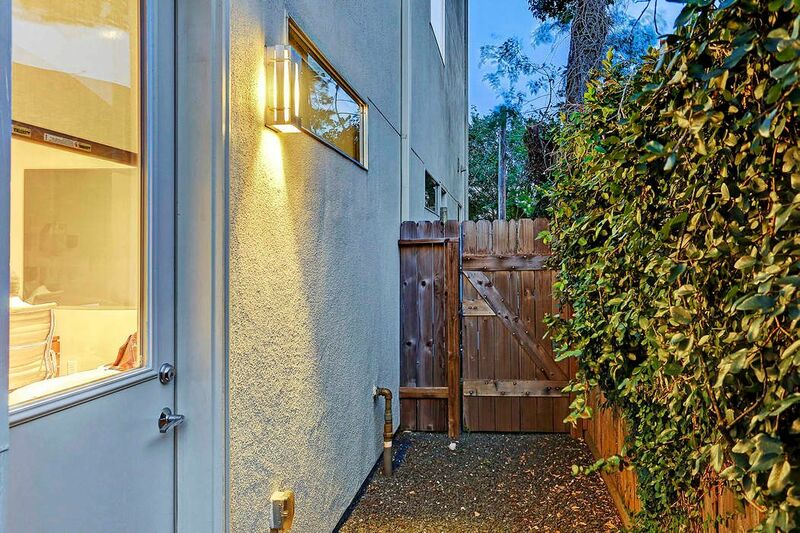 $600,000 3 Bedrooms3 Full / 1 Partial Baths2,742 sq. ft.
Sophisticated modern living blocks from shopping and dining with rooftop terrace that offers extravagant views of Downtown and Galleria skyline. 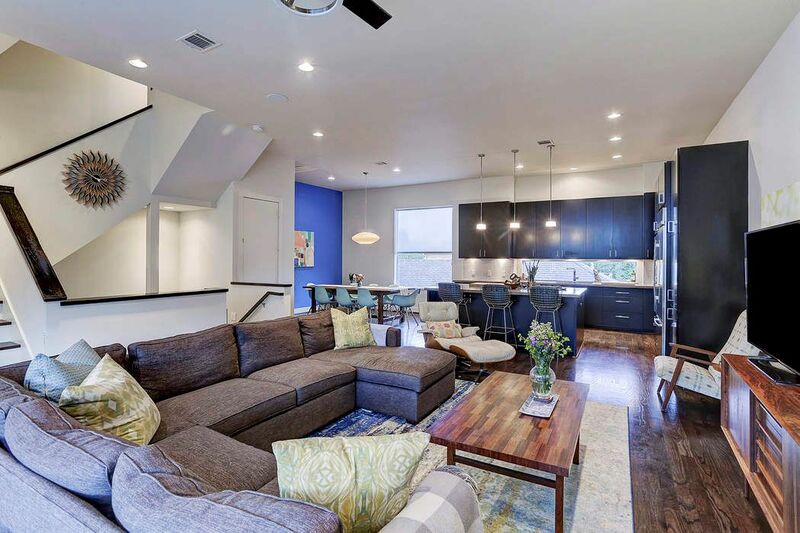 Soaring ceilings and expansive windows provide natural light through entire home. 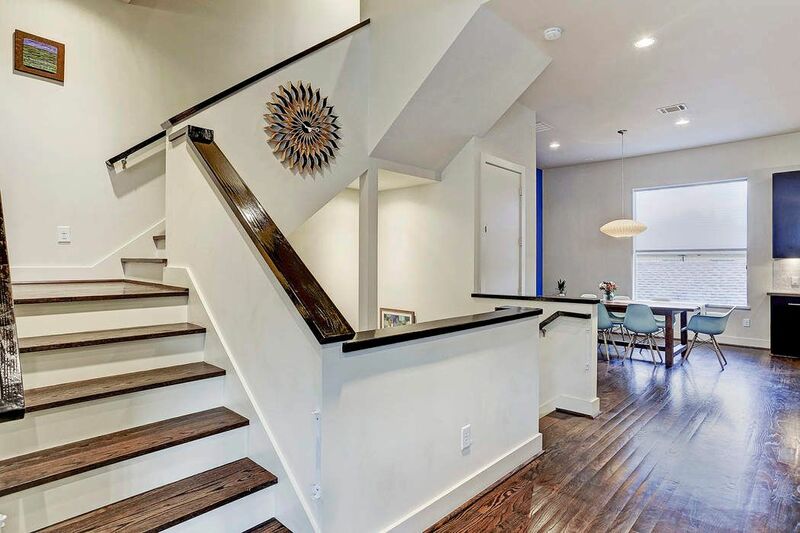 Contemporary design offers open and clean-lined floor plan and includes Smart Home with iPad system. 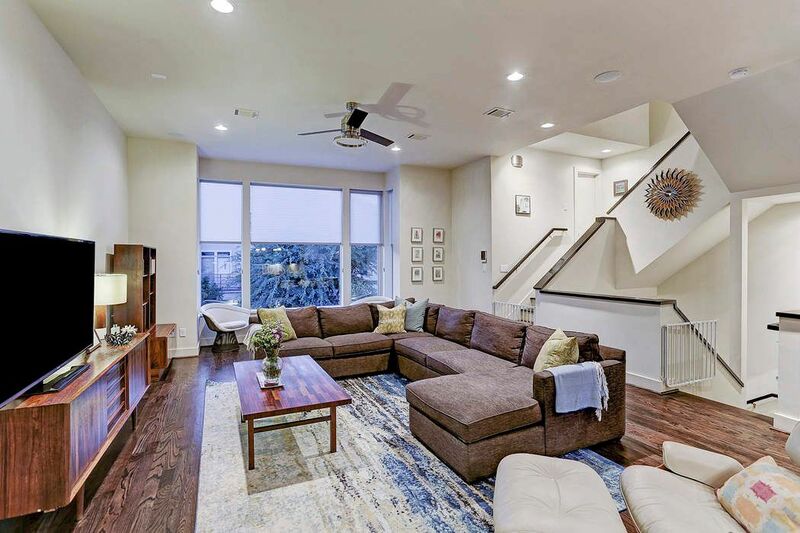 This gorgeous elevator capable home has island kitchen with custom cabinetry and Jenn-Air stainless steel appliances, hardwood flooring, minimalist lines and precise details. 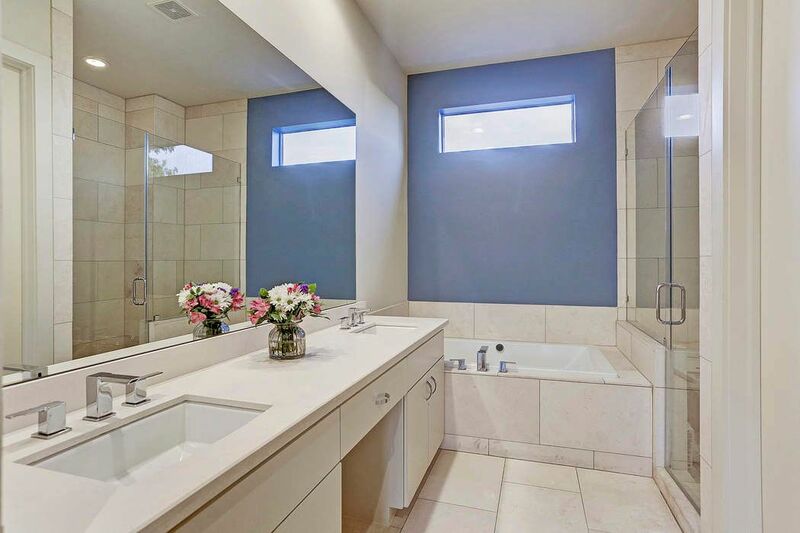 Relax in your luxurious owner’s suite with three walk-in closets and spa-bath. 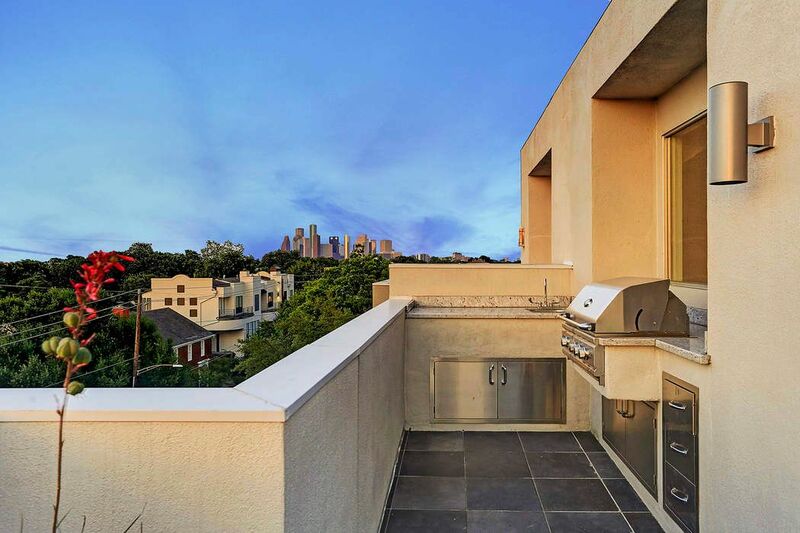 Rooftop terrace has outdoor kitchen with stainless steel gas grill, outdoor speakers, Kashmir granite countertops and built-in outdoor cabinetry and drawers.